Finasteride, best known as the enlarged-prostate medicine Proscar, is a safe, effective way to reduce the risk of prostate cancer, according to long-term findings from the Prostate Cancer Prevention Trial (PCPT). The trial was funded by the U.S. National Cancer Institute and enrolled nearly 19,000 men between 1993 and 1997. Initially it found that finasteride — a hormone-blocking drug — cut the risk of prostate cancer by 25 percent. Those results were published in 2003. The newly released long-term data show that the reduction of prostate cancer risk has continued and that fewer than 100 men in the trial died from prostate cancer in more than two decades of follow-up, according to a research team led by Dr. Ian Thompson. The updated results also showed no statistically significant increased risk of death from prostate cancer among men taking finasteride. This removes concerns over early findings of a possible risk of more aggressive cancers among patients who take the drug. “Finasteride is safe, inexpensive and effective as a preventive strategy for prostate cancer,” said Thompson, who is principal investigator of the PCPT for the SWOG Cancer Research Network. The SWOG Cancer Research Network is an international cancer clinical trials group. Thompson is also emeritus professor at the University of Texas Health Science Center. He and his team published their findings Jan. 23 in the New England Journal of Medicine. A cheap, reliable prostate cancer prevention drug will have a big impact on public health, Thompson and his colleagues said. 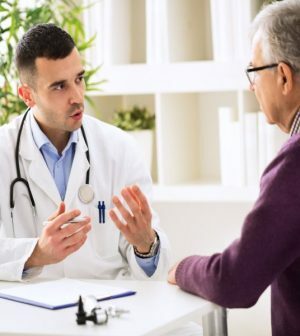 They noted that prostate cancer rates are on the rise and that nearly 165,000 American men were diagnosed with the cancer in 2018, according to the American Cancer Society. Many cases of prostate cancer are slow-growing and not life-threatening, but are still often treated with surgery and radiation, sometimes resulting in complications such as impotence and incontinence. “There are significant negative consequences to patients’ health and quality of life that can result from prostate cancer treatment, as well as to their finances and their peace of mind,” Thompson said. “If we can save people from surgeries and scores of examinations and tests, and spare them from living for years with fear, we should. The best-case scenario for patients is prevention, and this trial has found an inexpensive medication that gets us there,” he concluded. One prostate specialist unconnected to the research said the new findings come after “many years of debate” on finasteride’s role in cancer prevention. Based on early findings from the PCPT, the U.S. Food and Drug Administration “issued a warning that chronic use of the medication may increase the risk of high-grade or aggressive prostate cancer in a small percentage of men,” said Dr. Manish Vira. He helps direct urologic research at Northwell Health’s Arthur Smith Institute for Urology in Lake Success, N.Y. Unfortunately, that warning “effectively nullified the benefits of the medication in the eyes of many patients and their physicians,” Vira said. These later, fuller results should turn that around, he noted. “Physicians and patients need to be aware of these results, and at least consider again using these medications in the prevention of prostate cancer,” Vira said. “This may be especially true among men at high risk, such as African-American men and men with a strong family history of prostate cancer,” he said. The American Urological Association has more on prostate cancer.